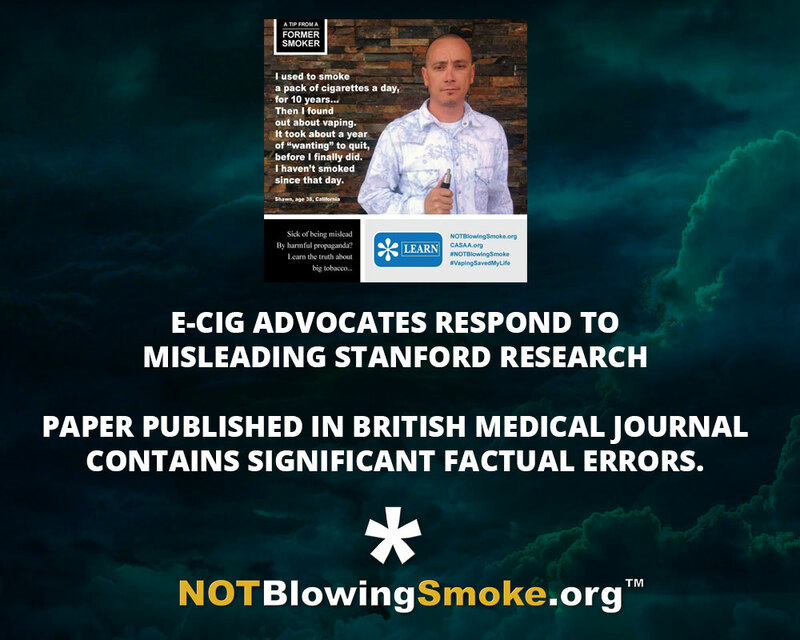 In reviewing your recent paper, published in the British Medical Journal, Not Blowing Smoke (hereafter referred to as NBS) felt it important to reach out to Stanford to address portions of the document directed toward the organization. We wish to address allegations regarding the so-called brandalism of CDC’s Tips From Former Smokers campaign. “Identification of the original author of the knock off may be challenging, as it has become very easy for even those with minimal digital graphic skills to create derivative advertisements.” In fact, the originator of the edited images is a California-based graphic designer named Shawn Rego. The catalyst for the original modification was an image created by CDC (Fig. 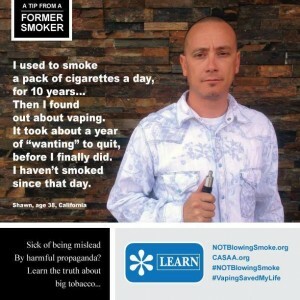 1) intended to mislead the public about e-cigarettes. 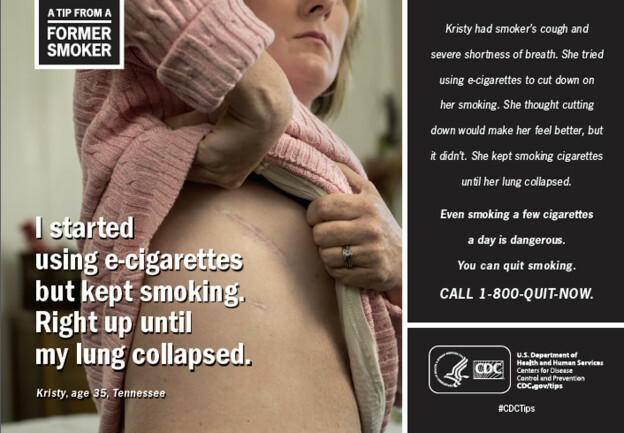 The implication from CDC is that e-cigarettes were somehow responsible for the subject’s illness, despite the clear statement that ‘Kristy’ continued use of combustible tobacco products. Mr. Rego’s image (Fig 2) was republished by Not Blowing Smoke via our social media channels and other individuals used the template created by Mr. Rego to express their own views. The image noted in the paper was created by Geoff Brathwaite (Fig 3), who has no formal association with NBS. 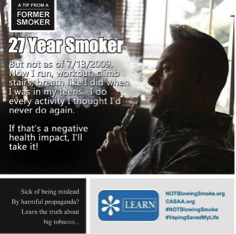 One such image was created by NBS founder Stefan Didak in his individual capacity and several dozen individual consumers who were able to cease combustible tobacco use as a result of vapor products. As these images were created and shared prior to NBS’ incorporation date of August 4th, 2015, the assertion of an advertising campaign created by NBS is blatantly incorrect. Further, despite having immediate and direct access to one of the most respected law schools in the United States, the paper fails to recognize that works of the United States government do not qualify for copyright protection . All the same, we believe the transformative works created by individual consumer advocates fall squarely inside the bounds of fair use. 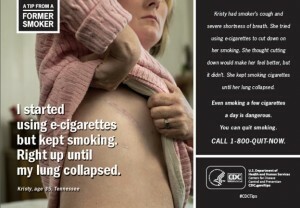 The images utilize less than 3% of the original source material, are wholly intended to provide both criticism and commentary and do not use the CDC logo. The paper willfully ignores United States copyright law while simultaneously praising identical efforts by the tobacco control industry and calling for censorship of dissenting viewpoints. In effect, by stating that one current Director is an employee of Apollo, the study authors demonstrate a more comprehensive understanding of the persons involved in the leadership of NBS, yet fail to cite their evidentiary source(s). NBS was created in March 2015 by Stefan Didak with assistance from Jason Downing, two of the three current board members. Neither Mr. Didak nor Mr. Downing has been employed by the e-cigarette industry in any capacity whatsoever. To reiterate, a two-thirds majority of NBS’ Board is controlled by consumers without industry ties and the organization acts with complete independence from any e-cigarette manufacturer, retailer or wholesaler. Camille Winans volunteers her time and does not act in a decision-making capacity. Unfortunately, the authors made no attempt whatsoever to contact NBS prior to publishing and instead relied on false assertions unsupported by evidence. For the above reasons, the paper demonstrates a bad faith effort to defame and libel Messrs Didak and Downing and Not Blowing Smoke as an organization under the guise of legitimate research. It is our opinion that this paper falls far short of both BMJ and Stanford’s long history of producing and publishing fine research both in the tobacco control field and many other areas of medicine.  Due to myriad inconsistencies, significant factual errors and material misrepresentations, Not Blowing Smoke requests that this paper be retracted in its entirety. #fdaregs is not affiliated with CASAA, AVA, or SFATA but please visit them for more information.